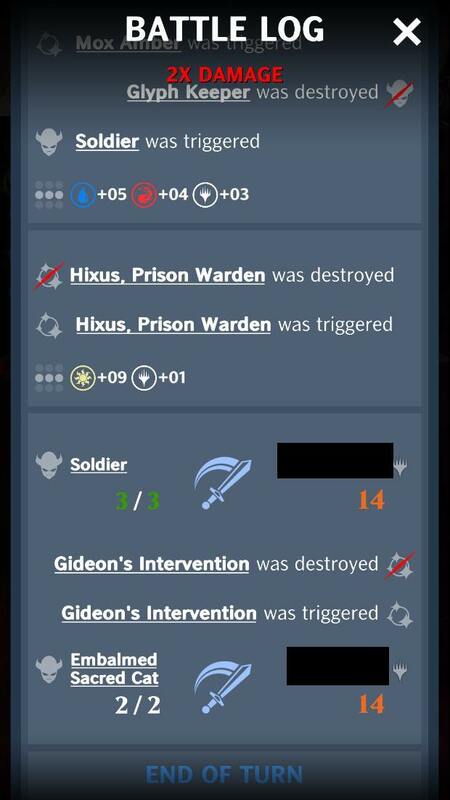 Playing white node in Trial of Ambition, Greg cast Gideon's Intervention which I wore through with regular attacks, but he still had prevent damage after the support was destroyed. I hear this is caused because I also destroyed another support during my turn before the intervention was destroyed. Coming here to confirm that this bug has returned. I've spent the last 5 TG matches facing off with white PW's utilizing this card and its bug. It has been so much fun. Hi everyone, I'll go ahead and pass this up to the team for additional review. I confirm, i have the same trouble here. Plus; there is a similar bug playing "Lich's Mastery"
Guys.. this is another game ruining bug. There is literally no way to win once Gideon's Intervention has been played. If LM is having the same problem, then it is doubly bad. 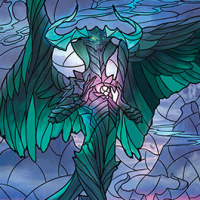 But unlike Sphinx's Decree which was used just to troll... people are incentivized to use these cards as they cause PW immunity and ensure victory (unless the opponent else plays one too). Hi everyone. The team is aware of this issue, and are already investigating how to resolve this issue. Hi Everyone. The team was able to identify and fix the issue. They anticipate implementing this fix early next week in a data push. I will update the thread title once I am aware of it having been implemented. Thank you for your patience! Thank you for your quick answer and developers fix. Are both, Gideon's Intervention and Lich's Mastery, fixed or just Gideon's Intervention? @rafalele Hmm good question. I would imagine the fix applies to both, but I'll have to double check with them on Monday, once they're back in the office. Hi Everyone. The 3.1 hotfix just went live, and both Lich's Mastery and Gideon's Intervention should now be fixed.